If you can see it, Foulkes Productions can produce it. A well produced video efficiently focuses the attention of your audience to effectively deliver your story or message. Using digital video,sound, and graphics can leave an impression with the viewer. When content is seen and heard, it is remembered. Foulkes Productions uses today’s video technology to work for you, producing quality content for broadcast, Internet, or DVD distribution. Website videos - For your website, Youtube, Facebook updates, or anywhere online... SHOW your audience what you are all about. Video is the MOST EFFECTIVE way to engage your audience online. Broadcast footage - Need broadcast-quality work? Foulkes Productions has the equipment for professional standard or high-definition video for television commercials and programming. Events - A professional video recording of your event can be very useful... for showing to others who could not attend, promoting future events, or generating sales of the video. Award ceremonies, sports, conferences, stage performances and more. Presentations - Enhance any event with a video presentation! Foulkes Productions can produce videos to inject real life into your powerpoint presentation, or you can use video to add that extra touch to any event. 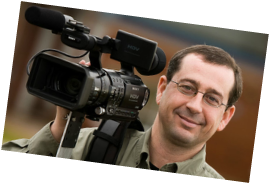 Mini-documentaries - A great idea to profile a person, or a business or organization. A video is a great way to pay tribute to a job well-done. Foulkes Productions specializes in these tribute-style videos. They're like a trophy or plaque, but without the dust! Transfers & Duplication - You have important videos on tape. Transfer them to DVD or web-video. Make copies for your friends, family, or collegues.